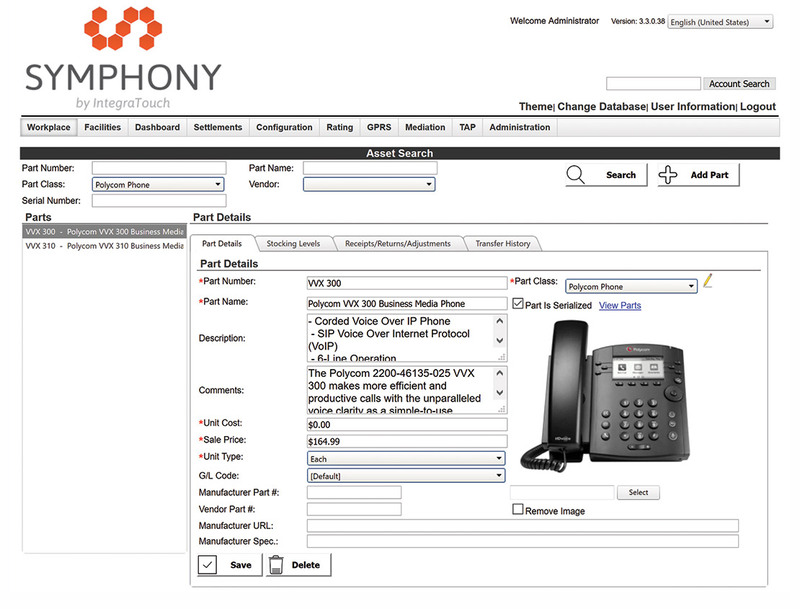 Symphony gives you complete control of all your inventory needs from “bulk” items to individual serialized parts. The above image shows a serialized part (iPhone). The system maintains vendors, reorder levels based on “EOQ,” manufacturer’s web link, and manufacturer’s specifications for each part. In addition, part images are shown either as a static image or an animated image. Parts are tacked by location and status. Locations are assigned by the user and can include warehouses, trucks, cars and any area. This allows the user to control inventory at all areas within his/her business. What makes Symphony Assets/Inventory different?